SETTING POINT, Tortola, VI – Thirteen little sea turtles must be thankful for their human hero who stepped in at the nick of time to save them from the grasp of sargassum seaweed on the sister island of Anegada a few days ago. 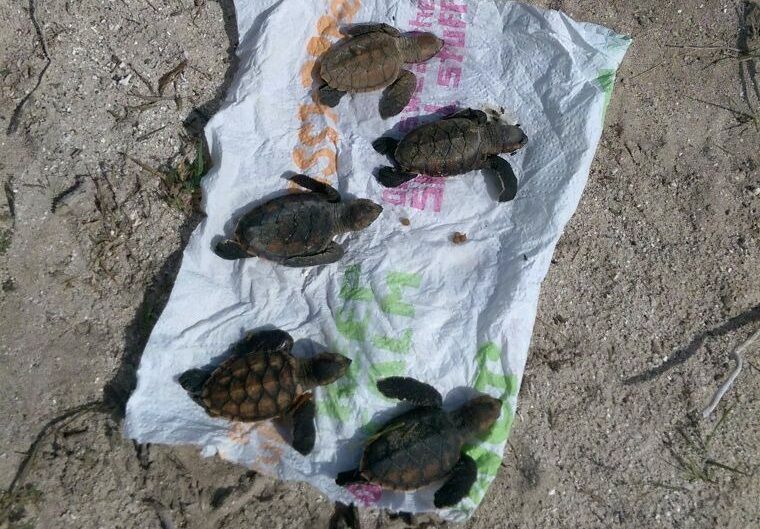 Not seeing himself as a hero in anyway but just doing his job and having a mind for community and his understanding and value of sea life to the continued existence of the island he knows as home, Mr Rondel R. Smith related to this news site how he came to save the lives of some 13 sea turtles. 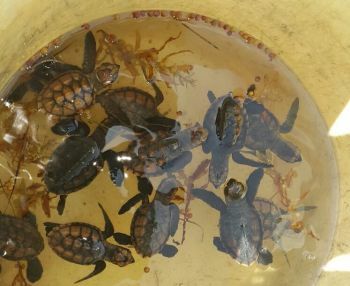 “I work with Parks (National Parks Trust), so I usually check around the areas where the seaweeds are and I saw one and then two turtles so I decided to check further to see if there were any other and as I moved along I saw another so I went and borrowed a dingy and paddled through the seaweed and I ended up with thirteen baby turtles,” Mr Smith recalled. Mr Smith said he informed the management of National Parks Trust of the encounter. As for the 13 live turtles, Mr Smith said he took them to a location where there was no seaweed and where he thought they had a fighting chance at survival and released them back into the sea. 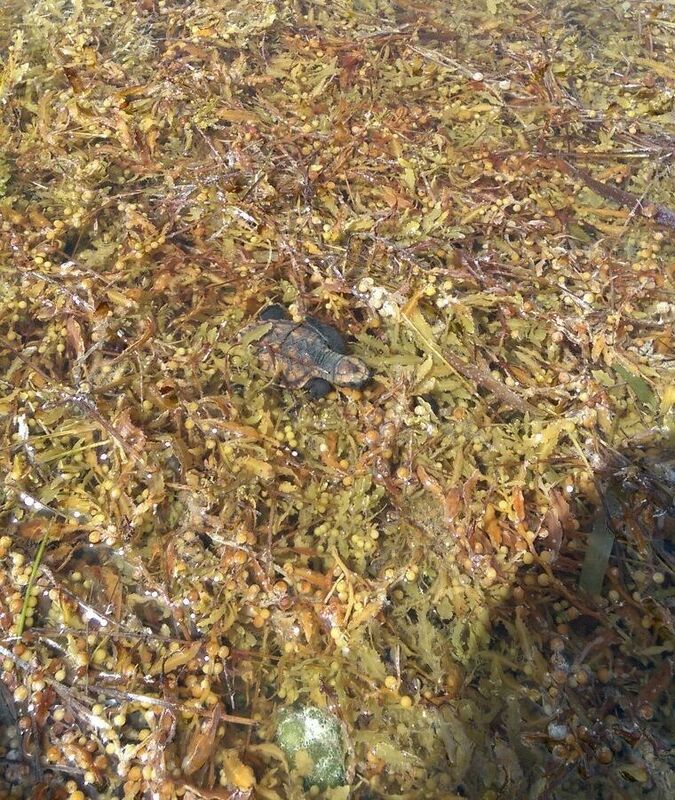 The commendable act was brought to the attention of this news site by another public spirited man who chose not to be named but said he did it to encourage others to do what bit they can in any way as the territory tries to grapple with the influx of the dreaded sargassum seaweed at this time. Anegada is said to be hard hit with the invasion of seaweed and, according to fishermen, fishing activities are being affected as a number of boats are trapped at the fisherman’s dock. The fisherman said he and Mr Smith are in the process of strategising a clean-up exercise especially in areas where the fishermen have to traverse to get their boats in and out of the dock. seaweed seaweed go away this is my fishing day! The baby turtles are so cute. Would it be illegal to grind it up and sell it to idiot tourists who come to the BVI asking for weed, like the BVI is ganja land?? So because a man ask for some Ganja he's automatically an idiot? Weed when used with considerate moderation can give one benefits. You can dislike it but don't sully it with silly comments like that, please. Selling man fake weed is a detriment to everything positive weed can bring to a person. Sell your Spranga joints elsewhere, please. 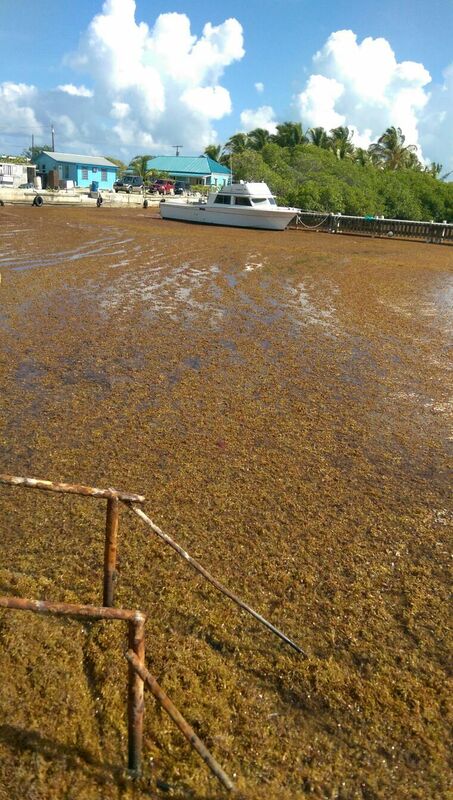 So fishermen dont have boats with oars any more to help clean up the seaweed. People you dont have to wait on the government to do everything for you. if you see something affecting your environment and livelyhood do something about it, get in your boats, get some nets and round up the seaweeds so you can get out and fish, its not that hard, work together and the task can be completed. Weed and smoking cannot be good for the lungs as far as I know inhalation of smoke of any kind is very poisonous to the human body. Weed is most benificial when used as a tea like any other medicinal plant. That's very true. I didn't go in depth about ingesting it through tea and other edibles to best garner the benefits without damaging your lungs through smoke because it gah so many close minded people that won't even listen to wha you gah say on that matter when it comes to the healing effects on canibus, but I'm glad you brought it up. Bless.